When looking back over the past year, I have discovered that my back had been turned on God. Oh, I talked the talk, but even I wasn’t buying the BS I was spouting. My business was failing, I was slowly running out of money, I endured a life-threatening illness, my health insurance was unexpectedly dropped, my “just paid off” car suddenly died, and the list goes on. I got through each day somehow, but if I am completely honest with myself, I see that my faith disappeared. I was questioning my God every moment along the way, wondering why He was letting all of this happen to me. So I did what I do best. When I fear that someone is going to abandon me, I abandon them first. I turned my back on God, and walked away, an empty shell. Without even really recognizing what I was doing, I was obviously saying, “Fine, I’ll do it my own way since you are not helping me, God!” My own way just doesn’t cut it… I have proven that time and time again. I saw this saying this morning. It stopped me in my tracks. I was a teacher for years, and I remember on test day, my college students would arrive, take their test forms from me, and go to their desks in silence prepared to take their exam. I remember saying to myself, “Okay, I have given them the tools to pass this test, now it is up to them.” This is what God is saying to me daily, but I have ignored Him. Last night, I heard a speaker tell his story. He had a traumatic childhood, and as a result, he claimed to have turned his back on God. In telling a trusted friend this story later in his life, his friend looked at him and said, “All you need to do is turn around.” That was so profound to me. 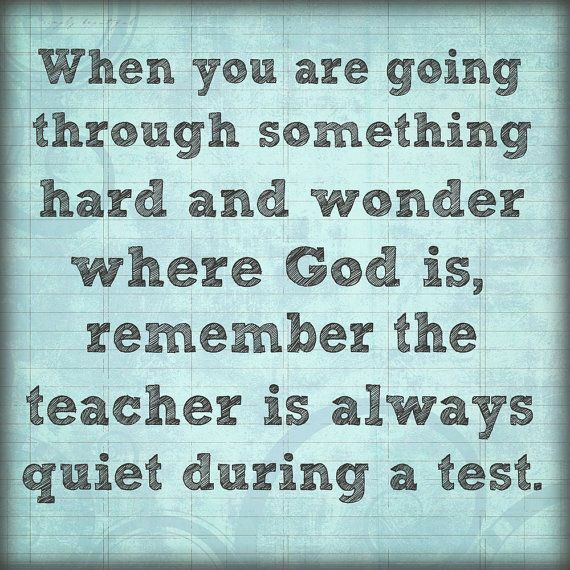 God is always there, silently waiting for us to live the lessons He has already taught us. There are times in our lives where we feel like He has left us out there alone, clinging to the edge of the cliff for dear life. It is in those times, where we feel most alone, that all we need to do is simply Turn Around!